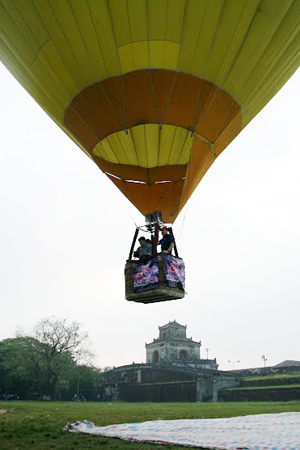 This is a great chance for tourists to enjoy the aerial view of Hue City, the Citadel, the Perfume River, Ngu Binh Mountain and suroundings from the height of 150 metres. 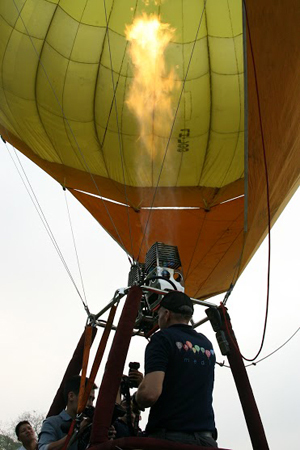 The hot air balloons will be launched at Ham Nghi Yard inside the Citadel and landed in Phu My Commune (Phu Vang District), Tu Ha Ward (Huong Tra District) and Huong Long Ward (the city of Hue). The event will take place on May 4 and 5 with two different schedules: from 05:30 to 08:00 and from 17:00 to 18:30.